This small hamlet of Abhaneri near Jaipur, was known as Abha Nagari or the city of Brightness. Though the place is in ruins, the place narrates the history of its bygone past. 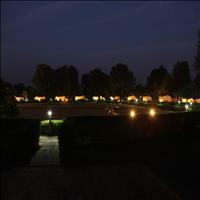 Famous for its Baoris, meaning wells in the local dialect, the baoris have a special significance attached to them. 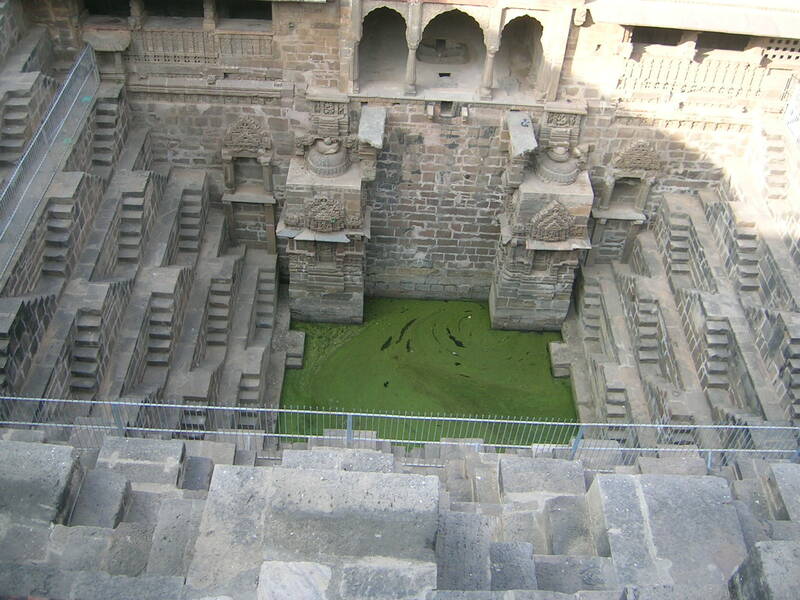 These wells which are deep are built mainly for harvesting rain water and save the parched traveler from dehydration. These wells have steps to reach down to the water which also provides the much needed shelter to the travelers in the extreme heat. 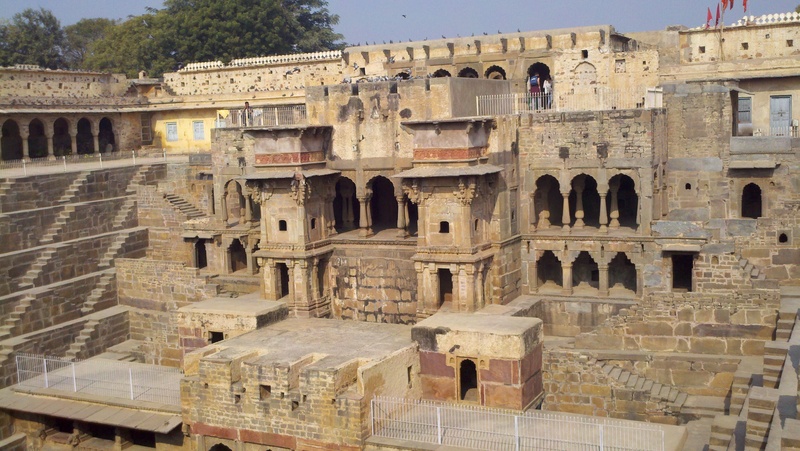 The most popular one is the colossal step well, located in front of the Harshat Mata Temple. 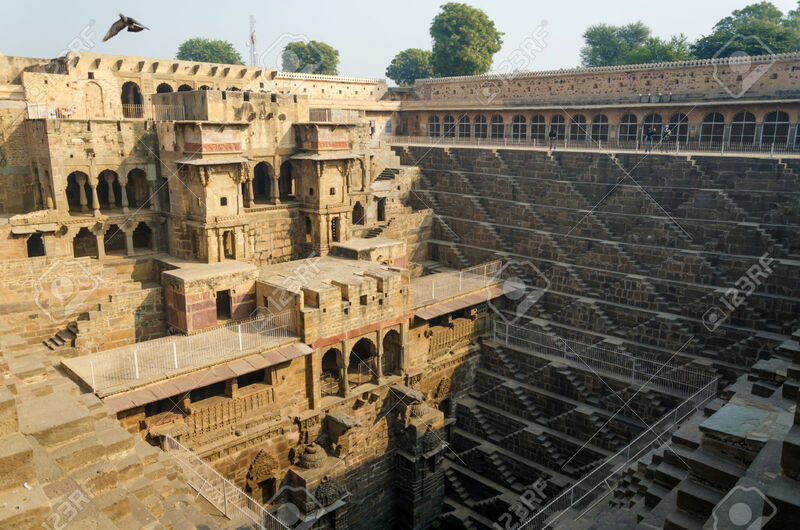 Chand Baori is one of India&rsquo;s deepest and largest step wells. The huge tank with delicate carvings is certainly delightful to the eyes. It was a ritual to wash hands and feet before visiting the temple. Adjoining the Chand Baori, there is a temple, dedicated to Harshat Mata. 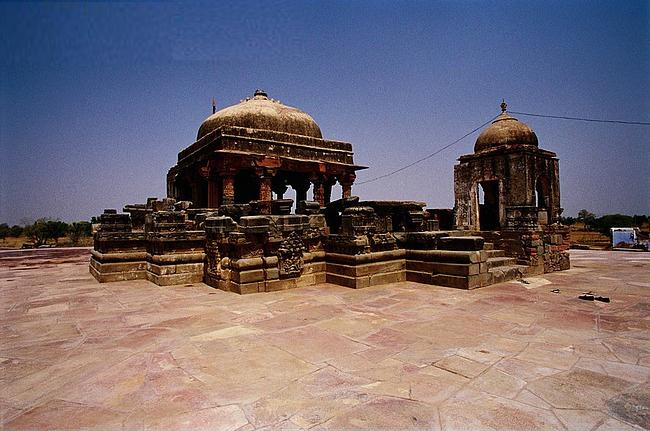 This temple serves as the other tourist attraction of Abhaneri. Raised during the 10th century, the wrecks of the temple still boast of the architectural and sculptural styles of ancient India. Harshat Mata is considered to be the goddess of joy and happiness. As per the beliefs, the goddess is always cheerful, who imparts her joy and happiness to the whole village. The temple is worth visiting for its amazing architecture and that too, which belongs to the medieval India. Abhaneri has a glorious past and this hoary magnetism of the place, attracts tourists to its threshold, from all over the world. 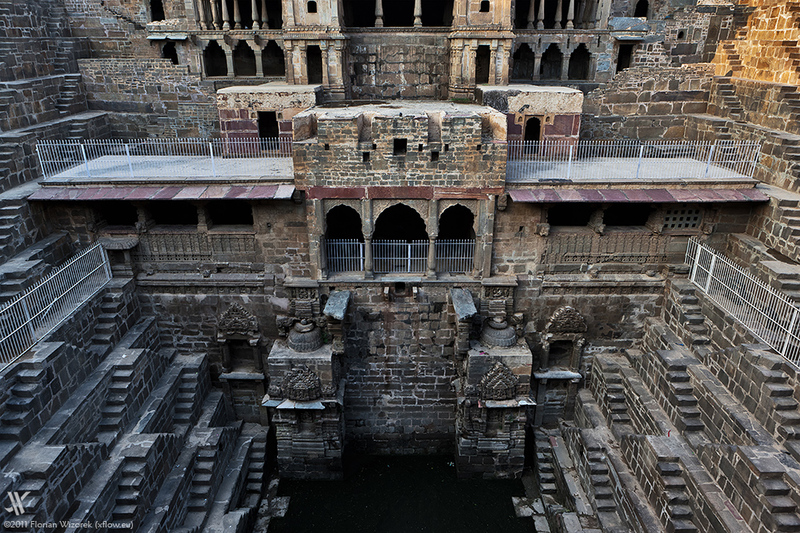 These wells which are deep are built mainly for harvesting rain water and save the parched traveler from dehydration. These wells have steps to reach down to the water which also provides the much needed shelter to the travelers in the extreme heat. The most popular one is the colossal step well, located in front of the Harshat Mata Temple. 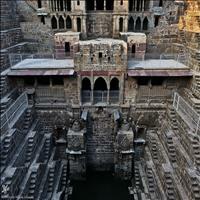 Chand Baori is one of India’s deepest and largest step wells. The huge tank with delicate carvings is certainly delightful to the eyes. It was a ritual to wash hands and feet before visiting the temple. Adjoining the Chand Baori, there is a temple, dedicated to Harshat Mata.